Developed for the silk screen industry, Foam Core is a lightweight and easy to cut material used as backing for photographic prints and other images and is a backing used in picture framing. It resists moisture and warping. Great when selling outdoors and/or other changing humidity conditions. The backing most used by our customers. Acid Free fome core is two acid-free facing sheets (top and bottom) over a thicker, approximately 1/8" or 3/16":, core of polyurethane foam. Foam core comes in four grades: Cotton Rag Covered , Conservation Paper Covered, Standard Acid Free and Economy grades. 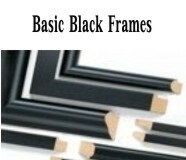 See Ask Bing "Backing Board in Picture Framing" for more detailed backing information. 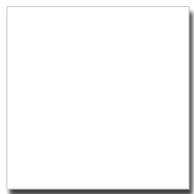 Foam core was originally designed for the silk screen industry. It has been "adopted" by the framing industry because it is such an excellent back--sturdy, stiff(resists warping) and lightweight. Standard foam core is a plastic foam like center sandwiched between paper on top and bottom. Standard foam core has a clay-coated surface on the paper that was orginally designed to make a better surface for printing. This "clay coat" provides a very smooth, uniform surface. 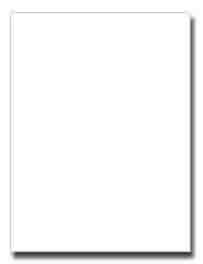 Archival foam core was designed for the needs of the framing industry. It uses archival paper on the top and bottom and a more archival foam in the center. Is non-archival foam core acid-free? No. It was created for the silk screen industry that was not concerned about archival characteristics. It was adopted by the framing industry because it is light weight, rigid and resists warping and other moisture problems. I have heard that the clay coating on the foam core paper provides an inert barrier that provides protection. However, I have never seen proof of that claim. Is is one of our best selling backs simply because it provides a superior and economical answer to other materials when conservation is not an issue. What is SELF ADHESIVE foam core? It is foam core that has a mounting glue on one side. This glue is covered with a paper liner that can be removed to expose the glue. A very popular item when permanent mounting is required.